20 June 2018 – His Excellency Jose C. Laurel V hosted a reception for some 400 guests to celebrate the 120th Anniversary of the Proclamation of Philippine Independence at the Fuji Room, Imperial Hotel, Tokyo. The reception was graced by the presence of esteemed guests from Japan headed by the Hon. 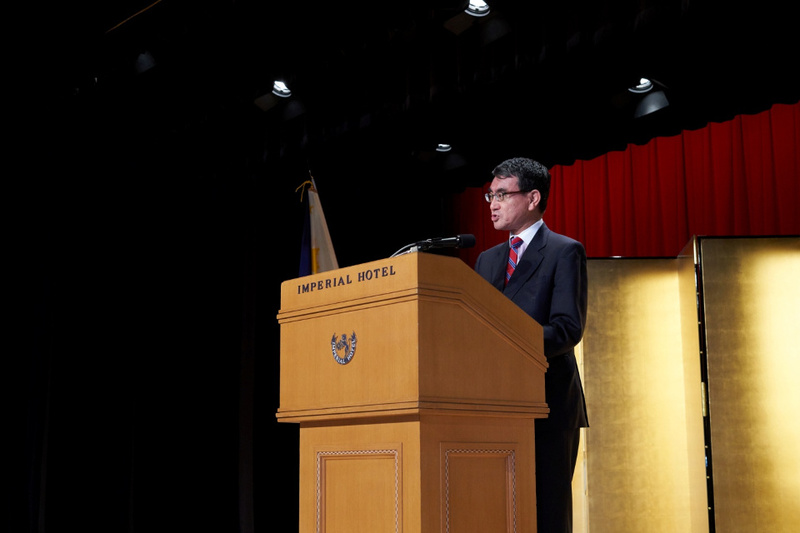 Foreign Minister Taro Kono, Hon. Former Prime Minister Yasuo Fukuda and the Hon. 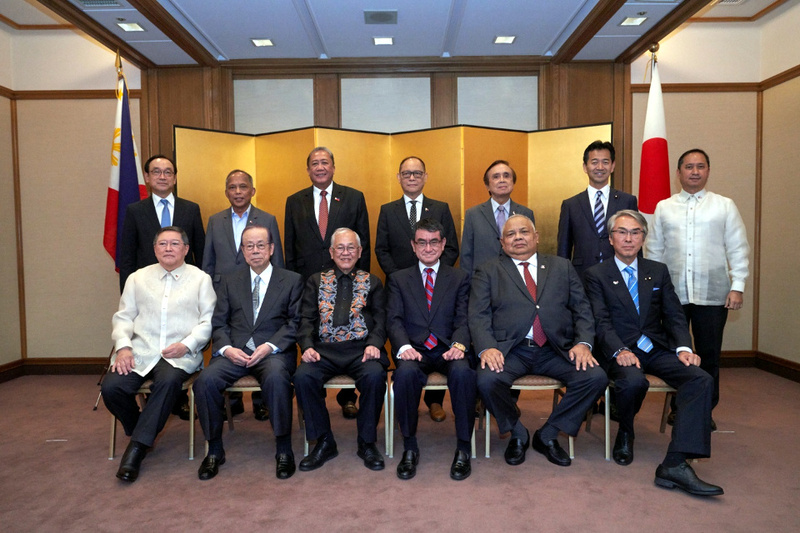 Chairman of the Japan-Philippines Parliamentarians’ Friendship League (JPPFL) Nobuteru Ishihara. From the Philippine side, the reception was attended by the Philippine Delegation to the Fifth High-Level Joint Committee Meeting on Infrastructure Development and Economic Cooperation headed by the Hon. Secretary of Finance Carlos G. Dominguez III, Hon. Secretary of Public Works and Highways Mark A. Villar, Hon. Secretary of Transportation Arthur P. Tugade, Hon. Secretary of Budget and Management Benjamin E. Diokno, Hon. Secretary of Energy Alfonso G. Cusi, Hon. National Economic and Development Authority Director-General Ernesto M. Pernia, Hon. Secretary of the Presidential Communications Operations Office Jose Ruperto Martin M. Andanar and the special participation of the Hon. Executive Secretary Salvador C. Medialdea. After the Ambassador’s Opening Remarks, he introduced the reception’s guest-of-honor, the Hon. 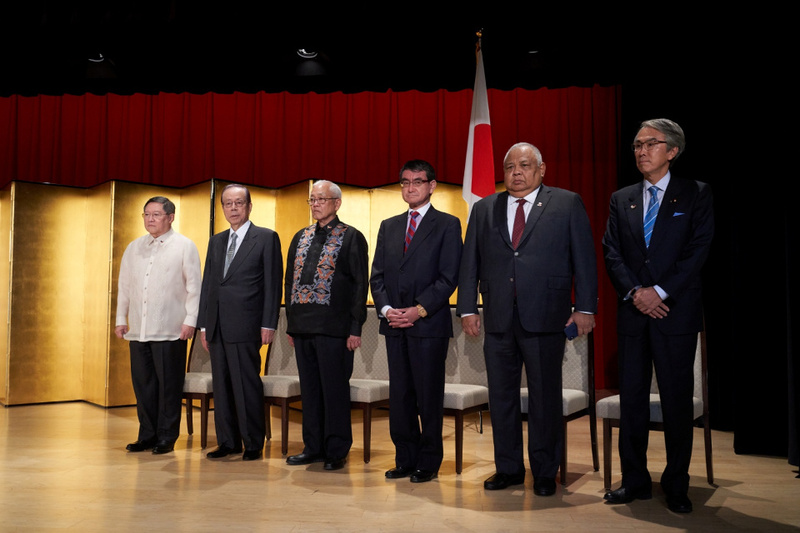 Foreign Minister Taro Kono who, for his part, expressed how proud he is that Philippine-Japan relations is very strong and is in fact entering the Golden Age of Strategic Partnership.